Six months after leaving school, Emelia Simcox decided to defer her theatre design course at NIDA and follow her interest in scenic art at Opera Australia. Her talent took her to London and the Drury Lane paint frames in the West End. While there she lived in a small flat in Brixton, known for its Caribbean community. “It was exotic and edgy back then, a very formative time for me,” she says. “I became enthralled by the Nigerian fabric shops selling extraordinary designs printed with a wax resist technique featuring huge peacocks, chicken wire, cigarettes, house keys and exotic flowers.” During this time Emelia gave birth to her daughter Eva, and made her dresses from the striking prints she found. She also studied etching on Fleet Street, and exhibited her first piece in the East End. Access to some of the greatest art galleries and museums in the world had a big impact too. “I remember, in particular, seeing Anish Kapoor’s enigmatic Marsyas in the Turbine Hall at the Tate Modern, listening to the wind softly moan through this surreal PVC alien structure, with a sound that reminded me of Tibetan long horn,” she says. “This heralded a new chapter, pursuing a creative world beyond the proscenium arch of the theatre.” When she returned to Australia, and its smaller arts scene, Emelia decided to study graphic design. 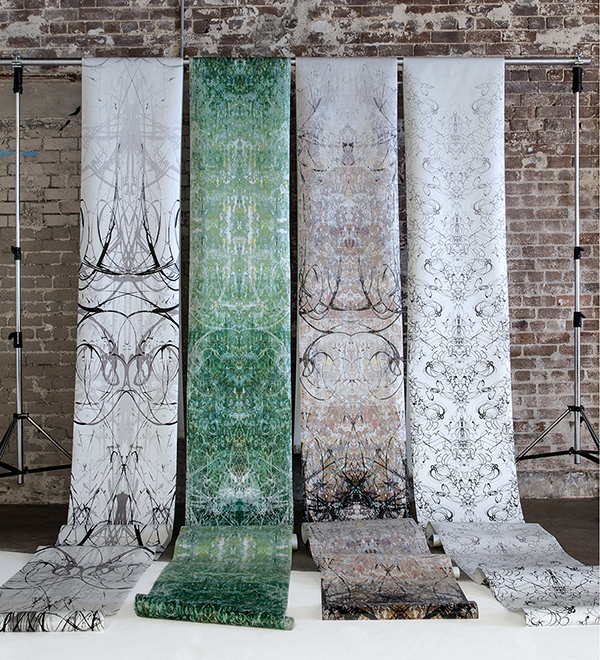 From her studio in Sydney’s Erskinville, she has worked on projects for the graphic, design, theatre, fashion and interior industries. Most recently she has launched her own label Simcox. 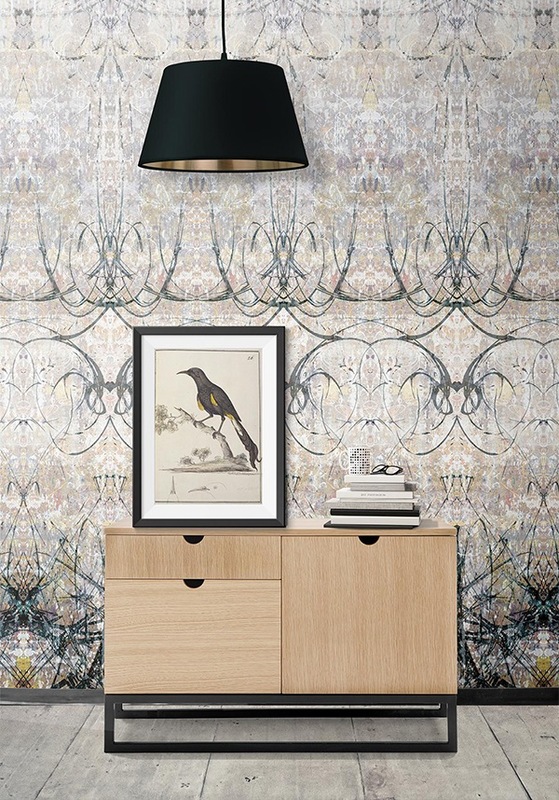 “Wallpaper seemed like a natural coming together of my creative pursuits, combining fine art, traditional scene painting techniques with digital design and innovation,” she says. “Wallpaper gives you the power to radically change an interior with just the thickness of a piece of paper, much like a canvas backdrop does in the theatre.” Many of her designs become softer and lighter towards the top, as there is no vertical repeat, which helps create a sense of height. Layers of hand-painted colour also help to built up multiple layers of interest in the designs. “This broken textured surface means your eyes don't focus on just one flat plane, but many, leading to the illusion of space,” she says. 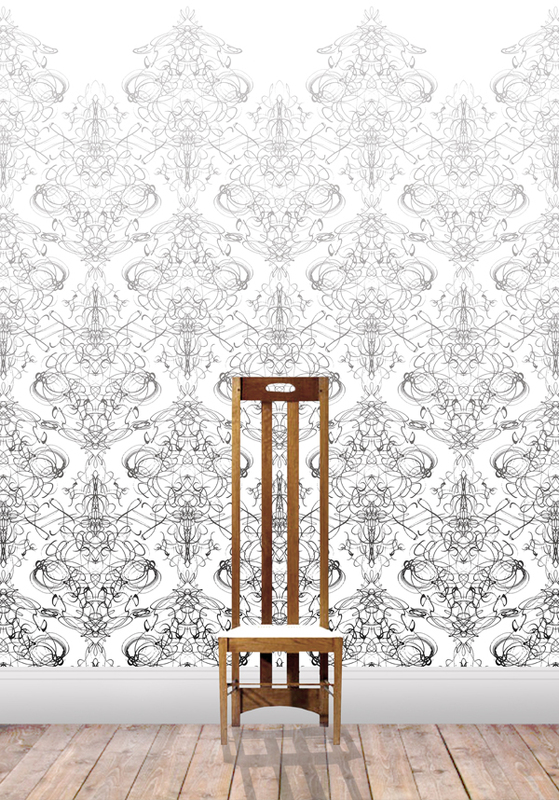 “These are all old scene painting tricks, yet it is only with innovations in digital print that I can achieve such effects in this format.” Her wallpapers are available through Emily Ziz. Which five words best describe you? Passionate, persistent, pragmatic, purposeful, pre-postmodern, perfectionist. How did you get your career start and what path have you taken since? Painting scenery with my parents on Sydney's paint floors, my apprenticeship started at a very young age. I continued scenic art until the age of 27 in London's West End. On returning to Australia to a dwindling theatre industry necessity led me to study graphic design. These two worlds combine perfectly for me in digital print wallpaper and upholstery. What’s the best lesson you’ve learnt along the way? Persistence. What’s your proudest career achievement? Professionally - putting my designs under my own name; personally - getting my daughter ready for school each morning. What’s been your best decision? Eva, my daughter. Who inspires you? So many people. Laurence Daws, William Robinson, Paul Klee, Mia Pearlman, Glen Murcutt, Frank Gehry, Wim Wenders, Catherine Martin, Monique Rappell. My mother, fathers, sisters, partner, all extremely talented artists juggling creative pursuits with the many demands of life. What are you passionate about? Beautiful, practical design and garlic, chilli prawns. Which person, living or dead, would you most like to meet? Antoni Gaudi, Vivienne Westwood and Virginia Wolf's Orlando. What dream do you still want to fulfil? 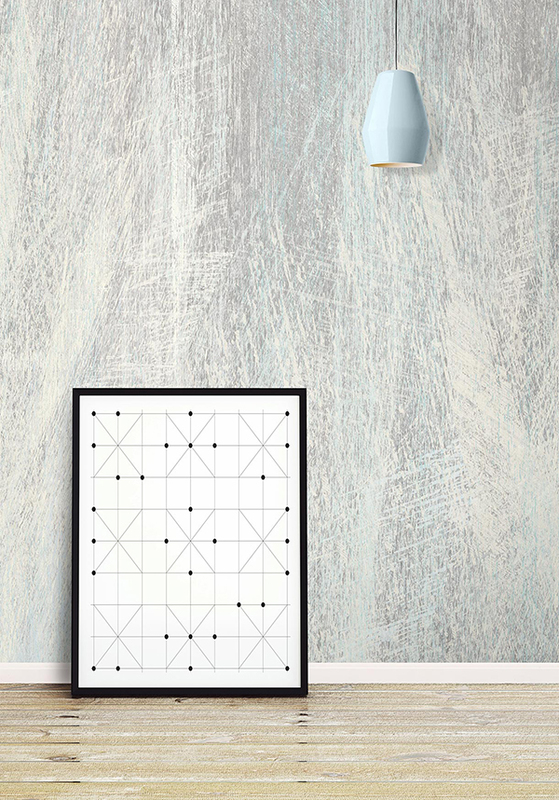 To see my wallpaper in architecturally significant buildings. What are you reading? Freedom by Jonathan Franzen, Daily Imprint with my morning coffee and Mr. Stink with my daughter.